Beatrice, and her team, there aren’t enough amazing words to say about them, and what they did to make our dream wedding come true. On a scale of 1 out 10, with 10 being the best, my wife and I give AlFresco Wedding at least 100 (yes, that is one hundred)!! Since we live in the USA, there could have been several barriers such as language, time change difference, exchange rates, etc., and Beatrice helped us defeat all of our worries. Ever since Nicole and I got married August 22, we had communication with Beatrice for approximately nine months, and she never once disappointed us and always replied in a timely manner, and with detailed responses and suggestions. Her costs don’t even compare to the value that her team brings to the table, as we almost felt guilty that she may have been undercharging us. We had 45 guests fly over from the USA to be with us on our special day, and every one of them, especially myself numerous times, were in tears of joy and happiness sometime during the week we were in Florence resulting from the beautiful views Bea recommended to us for a venue, the wineries we visited for the day before the wedding to help us relax, the vendors she recommended for photography/videography, floral/decor, music etc., and of course the incredible service provided by Bea and her team. 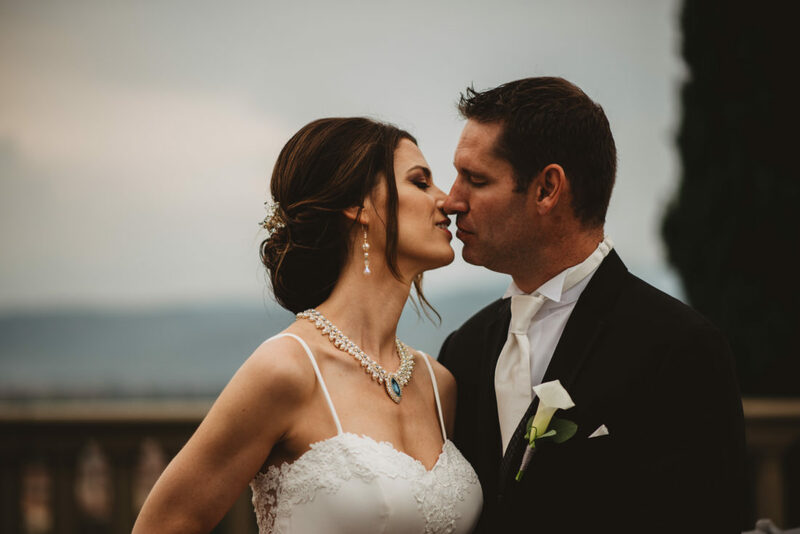 I do not hesitate at all when saying that everyone should get married in Italy, because it is the world’s destination of Love, however, your Italian wedding will not be complete unless you have Beatrice and her team working for you. PS, I prefer not to mention what Bea charged us in the questionnaire below as I am assuming that is confidential between her and each of her clients. Whatever quotation she gives you, trust me, it is a deal! !